First post in my first ever LD entry. This was my first Ludum Dare adventure and also my first game jam. I usually avoided game jams because I was under the impression that you must suffer sleep loss. Funny, I found a lot of Ludum Dare advice saying to get a good night’s rest, but that’s besides the point. My best impression with Ludum Dare was the wonderful community here. There was a lot of positive energy, which I don’t usually see on the interwebs. I would like to thank everyone for making such a wonderful community of game developers and for making this game jam. And thanks to everyone who played my game. I was surprised by the amount of people who liked my game! The game can be played here. Video here. I’m in for this weekend, and I’m really excited about it! I haven’t pushed a game to completion really, other than a snake clone and a couple of pong clones, so I’m looking forward to sitting down and really working through it all. I anticipate that this is going to be a very good learning experience. I’ll also be streaming my development live for the first time, which is also exciting! I like to do things from scratch so that’s all I’m using. No music this time around, because I don’t really know how to make it! Anyway, see you all there, and good luck! The city is under attack! Set out to save as many building as you can in this manic mess of a RTS. Check out the entry here and play it online! Early this morning I submitted City Fall. It is really not where I would like it to be but after Unity deleted the game scene, I figured it was a good time to call it instead of going back to the backups. I will continue to work on a smoother, optimized version of my game this week. 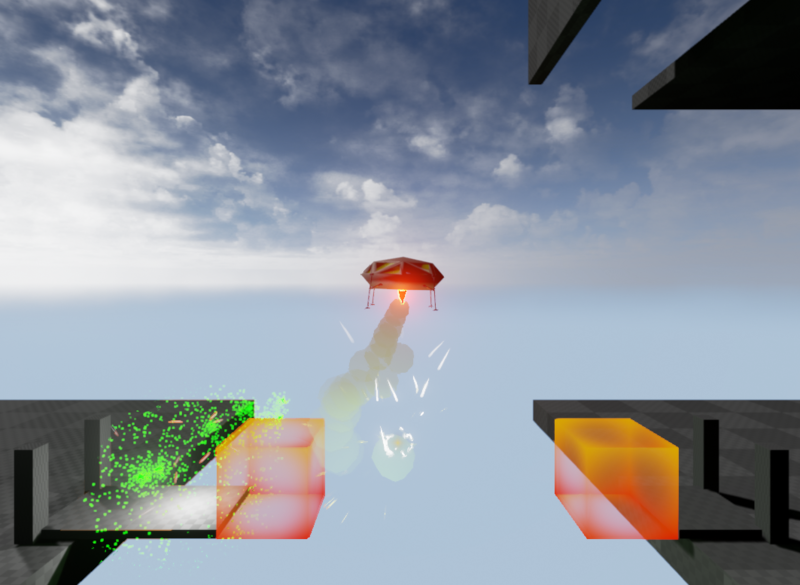 This was my first Ludum Dare, first game jam, and my second week learning Unity3D. I thought RTS would be too complicated a game so I am happy that I was able to just submit. I worked on this alone and used allot of third party resources, please see the credits below the web player. Target selection(Units, multiple units, enemy, building). Occluded/non occluded object selection availible. Active and passive attacking of enemies. A handful sound effects and some ambient music. Basic UI, selection, mini map, and HP bar GUI. I haven’t set my own library of scripts so i’ll have to start from nothing, but i’m here to have a good time, challenge myself, and play a lot of your games ! Graphics: Inkscape, Gimp, Paint.net, pyxel. This is in all regards a post-mortem just with a different name. A post mortem implies that the game is dead, but from the comments I’ve got the game has potential and any thing with potential is very much alive! +Stuck to the original concept, a sandbox world where creatures evolve and the player can only indirectly interact with them. +Images are a million times better than I imagined MS paint could produce. +Getting my brother to draw the creatures, allowed me to work on coding creatures larger than a pixel and some fresh direction in how to implement the images into the game. +The world is dynamic, creatures can eat foliage and starve if none is left. +The similar syntax between C and Java Script made learning a bit less painful. +Web based, so that it is accessible to more people. Surprised to find it even runs on android browsers! -No collisions between creatures and creatures, or creatures and tiles leads to fish walking on land! -Pace is a bit slow and the limited interaction can make it boring. -Didn’t have time to add terraforming or player activated events like meteorites or forest fires. -No entities like, eggs, blood splatter or fire. Despite the fact the graphics art was made. Still all in all it was a mostly postive experience and a good game considering it was my first LD entry and my second ever game (first for the language, being web based, object orientated and non-ASCII graphics) so all in all it was a great success and learning experience for me. First LD48 compo, entry done ! Even if I didn’t go as far as I wanted to, it was great fun ! I will do more game jams, this is sure ! My game for the SOPAjam (also my first entry ever) is finished! I finished it yesterday, but I didn’t have enough time to post anything about it until now. It ended up looking kinda ugly, having a couple of annoying glitches and it wasn’t even close to what I attempted to make, but I have never made a game in under 24 hours before (including school, sleep and other stuff), so I am very satisfied with the finished product. I learnt a lot very fast and I had a lot of fun. Download for Windows and Mac on my website! PS: My game isn’t showing up under the all games category for some reason, but it is clearly uploaded (http://www.ludumdare.com/compo/sopajam/?action=preview&uid=10299). Am I doing something wrong or is it supposed to be like that? Right, I’m in! This is my first year of ld, so don’t expect anything special. Good luck all other contestants! 21 queries executed in 0.125 seconds.